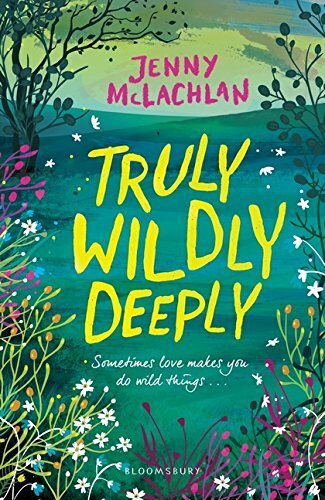 Truly Wildly Deeply is a sparky, funny romance by one of our best writers for teens, starring a heroine everyone will love and admire. Annie is starting sixth form college with a mixture of nerves and a determination to get the most out of it. From day one she loves it, making a group of friends and doing everything, as she always does, on her own terms. Annie has cerebral palsy, and while she can walk – she describes her walk for us early on in the book – also has to use a wheelchair. In her English lesson she meets Fab, Fabian Kaczka, a boy who is equally ready to do things his way and remain unfazed by what anyone thinks of him. Their friendship develops over their set text, Wuthering Heights. Fab loves its depiction of soulmates, two people who are one, while Annie picks up on the oppression of its female characters, their terrible lack of freedom. Their conversation as they discuss Cathy and Heathcliff, and indeed all the dialogue in the book, is witty, funny and vibrant. McLachlan was a teacher in a secondary school and depicts teenagers for the smart, thoughtful, entertaining people they are. The book’s humour comes entirely from the characters and their interactions. Surely the two are set on a path of true love, but when Fab asks Annie to be ‘his girl’, she backs away. Annie has spent her life fighting to get the world to see her for who she is, she’s not ‘the disabled girl’, she’s not going to be anyone’s girl. There are ups and downs before we reach the happy ending everyone wants, which takes place – of course - in Haworth! Annie and Fab are real characters, shaped by the things life has given them – her disability, his life in a new country away from his father – but not defined by them. It’s a heart-warming story that will leave all readers feeling happier, and ready to be kinder too.